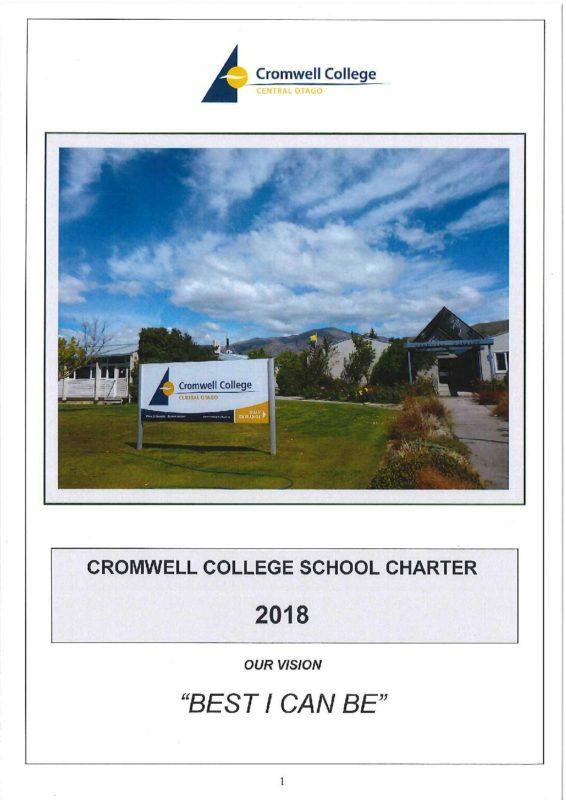 Student representative; Myah Scott – myahscott@cromwell.school.nz The next Board elections will be in 2019. The student representatives are elected each year. The Board meets 2-3 times each term and the dates are on our school calendar. Committee meetings for Property and Finance and Policy Self Review and Audit are scheduled prior to these meetings. 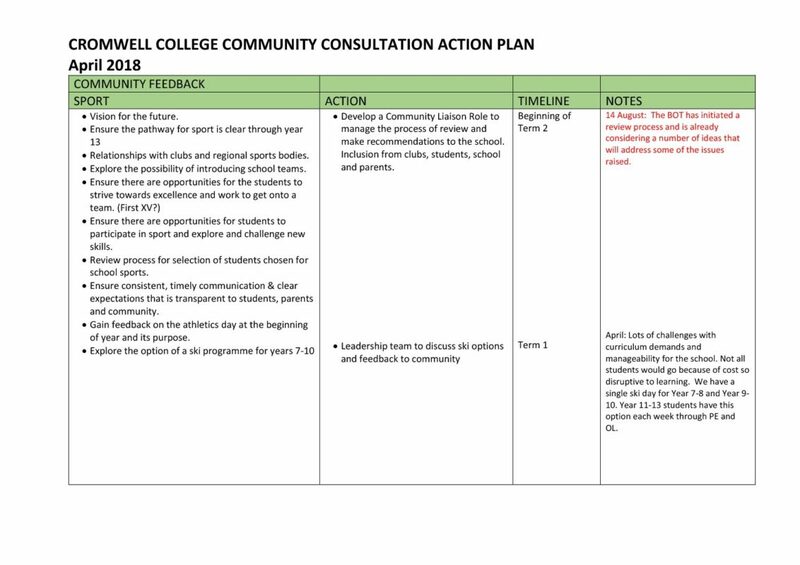 We are currently reviewing our strategic plan and vision and welcome feedback through our Board Secretary Jan Rockliff. Please see attached documents.